UPDATE 2017: This post has received a lot of comments recently, the promotion is available for 2017 BUT only for domestic flights. As those going for Umrah come from abroad and cannot visit other cities this offer is not as good as last year! 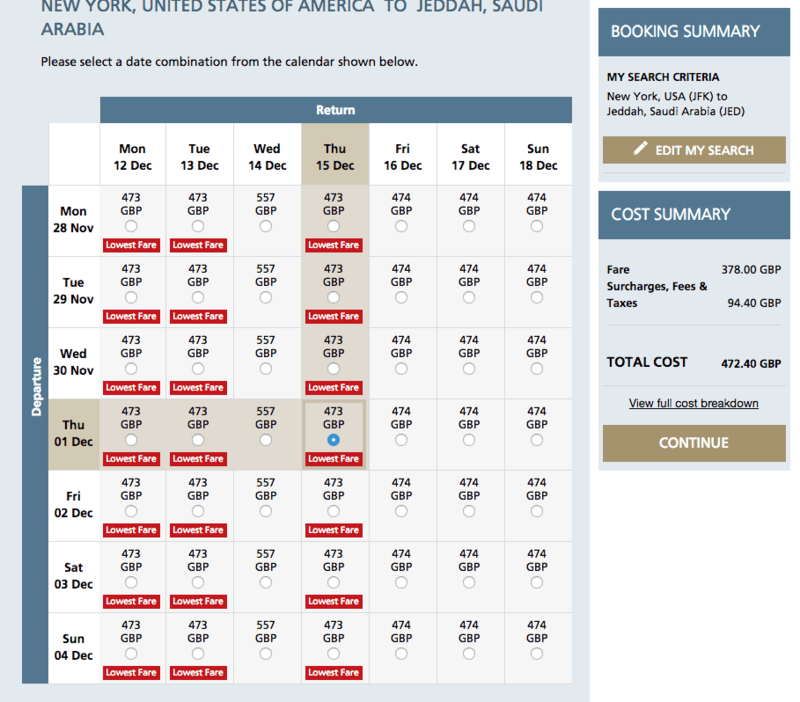 This is quite a good deal for Saudi airlines and it can be good if the Umrah season starts in November. We still don’t know when the Umrah period starts, dates will be announced around mid-October. 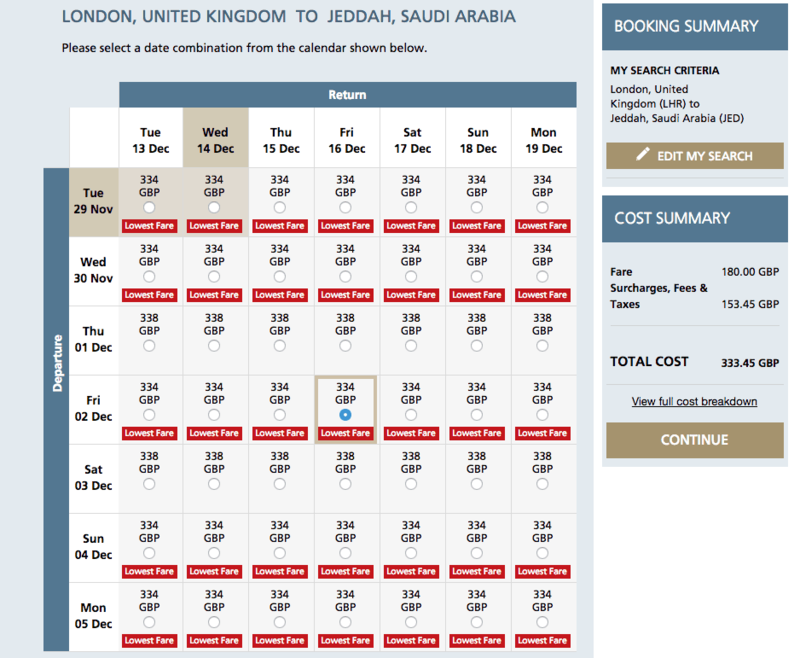 However, If you are looking for an Umrah during the first 2 weeks of December this can be a good deal. The discount is not exactly 50% most likely 30% since I have seen similar prices on flights even without discount albeit not in December. Flight usually during that period are around £500. Sales Period: From 20th of September until 30 September, 2016. Travel period: From 1st of October until 15th of December 2016. This discount is applicable on Guest and Business Class. For any change or refund additional fees may apply. This discount is valid for Round trip and for SAUDIA flights only. Other terms and conditions apply, please review it while booking. 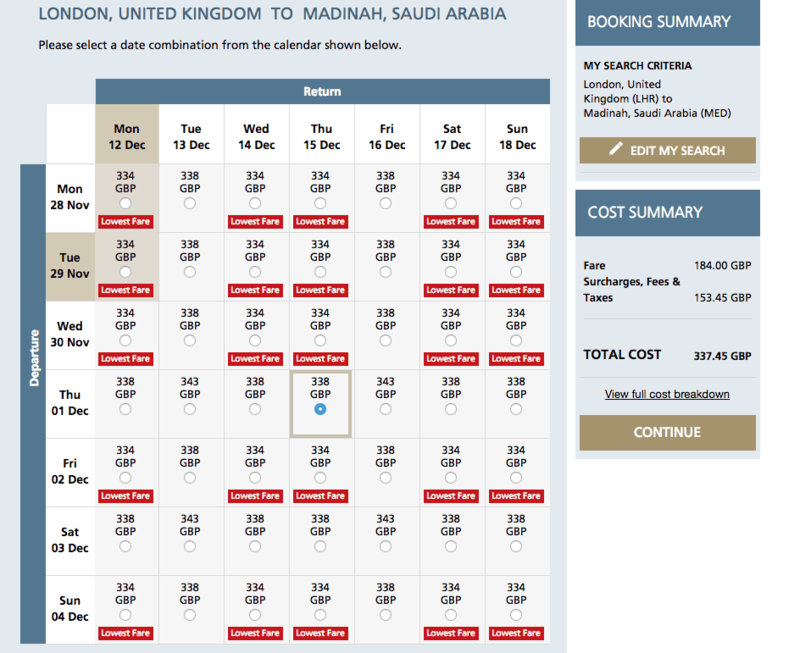 London to Jeddah / Medinah is about £350 per which is a good deal for a direct flight. One thing I would urge people is to book for the end of November or the beginning of December because you don’t want to end up paying for flights you cannot use if your Umrah visa is not issued. It is a great offer if you can take advantage of it and it doesn’t cost you more when having to change flights. EXCELLENT! Please keep up the good work and may Allah S.W.T make it easy for you. Thank you for sharing. i have booked flights husband n wife to perform umrah this end of november. But suddenly we want to to bring our 2 small daughters with us and teach umrah. The tix price is so expensive. Hopefully this septmeber 2017 can get same promotion. I love your sight may Allah bless you. The tips are amazing. Have you heard if Saudi airlines will have another 30% sale in 2018.